Articles - Caring Ministries, Inc.
"Our inner cities now have large concentrations of immigrants who contribute to the success of many of the most economically vibrant U.S. cities. 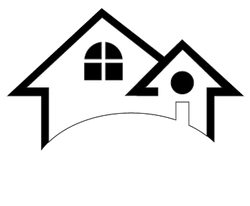 In response to this trend, Caring Ministries, Inc. (CMI) was established to reinforce the positive trends of immigrant influxes to revamp inner-city communities." First, each of us must know that credit is an important aspect in our society. In regards to housing, many banks and credit lenders will only lend to those that have scores of at least 640. The scoring of credit ranges from 300 to 850. There are many issues that can affect ones credit score. Various things that can be a positive affect on your credit score are the following: paying your bills on time and in full, using 25% or less of your available credit, and a steady job. Negative influences on your credit score can be: late or missed payments, using more than 80% of your total amount of available credit, bankruptcy, liens or foreclosures, periods of unemployment, and too many requests for news lines of credit. The above chart helps depict how one’s score is divided. The next aspect that should be noted is that there are three credit bureaus Equifax, Experian, and TransUnion. These bureaus are your reputation, their main job is to gather information and pass it on to agencies that want your information. The way these bureaus work is when you get a car loan or credit card, for example your lender will report back to the credit bureaus to inform them about your debt and whether you have been paying your bill or not. Henceforth, when you want another loan, the lender will find out about you from these bureaus. Secondly, you should always make sure the website you pull your credit report is from a government sight; otherwise, visit in person an organization that is accredited in credit reports. Thirdly, you can either get a hard or soft pull on your credit. The difference is that hard pull contains more detail information to help one evaluate the score in-depth. Overall, one must remember that a credit report contains where you work and live, how you pay your bills, and whether you have been sued, arrested, or filed for bankruptcy. The aim for your credit score should be in the 700s, which will make one be in good standing. Good standing is important for one’s credit score, because in achieving homeownership, it helps to determine your mortgage interest rate and monthly payment. Nevertheless, with a high score it makes it easier to get a loan, rent an apartment, or lower your insurance rate. Finally, according to Zillow.com if you are looking to purchase a home at the lowest mortgage rate available, one would want to score 740 and above.